Join the best of the best for this two-day conference, featuring elite speakers from around the world. As in previous years, the conference includes highly technical sessions for developers, DBAs, system admins, and security professionals — as well as content for non-technical experts like CXOs, managers, and PMs. 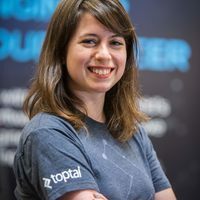 Toptal is proud to announce that Ivana Miličić, a Toptal designer, will take the stage with a talk titled Attractive Things Work Better. Ivana will explain why and how emotions can influence a product’s success, and what role visuals play in producing those emotions. Through a series of various examples, Ivana will demonstrate how humans perceive objects, why establishing a clear visual hierarchy is essential, and how much details matter. Join Ivana on June 8th at 9 am. The conference takes place throughout June 7-8; for more information and to get your tickets, please see the event website.